A strike by Hull College staff has been set for next Thursday (October 13), after staff voted to walk-out over planned redundancies. It comes after FE Week reported last week that former shadow attorney general and MP for Kingston upon Hull, Karl Turner, had renewed his war of words with the college bosses over the job losses on the eve of the ballot for industrial action on Friday (September 30). Almost nine in ten UCU members (86 per cent) who voted backed strike action, while 96 per cent backed action short of a strike, with the walk-out now set for next week. The dispute follows the college’s announcement that it would make around 70 redundancies and close its three nurseries before the end of the year. 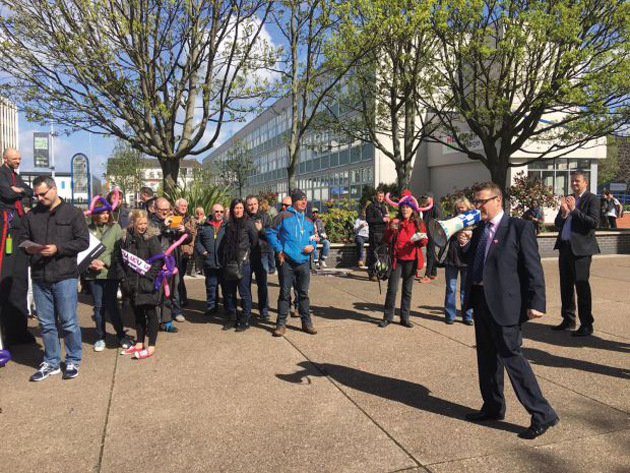 UCU regional official, Julie Kelley, said: “Strike action is always a last resort, but after several years of redundancies, staff have said enough is enough. “These plans are damaging for the college, staff and its students, as well as members of the local community who stand to lose out on vital learning opportunities. Mr Turner told FE Week the college’s actions would “hit students the hardest”. He previously joined college workers on strike in May, supporting their dispute over pay and a controversial new lesson observation system. He ended up calling for an investigation into the college’s chief executive Gary Warke, after he was allegedly sent a “threatening and derogatory” letter. Speaking ahead of Friday’s ballot, Mr Turner told FE Week that “redundancies have become a yearly exercise at Hull College, which will not help staff morale”. In a statement issued today, the college said: “Hull College Group has been informed that members of UCU intend to join in industrial action at some of our sites on Thursday. “This follows a vote by approximately 8 per cent of the Group’s workforce to participate in strike action as a result of the proposed restructuring programme. “The proposed redundancy programme equates to approximately 70 full time equivalent posts, around 32 of which are in academic areas. This has been communicated to trade unions and staff as part of the on-going consultation. “The group is also in the process of recruiting up to 45 potential new jobs through the delivery of commissioned areas of work as part of our highly successful HCUK Training commercial arm. We received confirmation this week that it has successfully secured the Humber Skills Support for the Workforce and Redundancy contract valued at £6m.